John Wakefield is a partner in the dispute resolution section of the Sydney office of Holman Webb Lawyers and practices in State and Federal Courts in securities enforcement, insolvency, insurance and re-insurance, trade practices, general commercial and equity and in international and domestic arbitration. He is a Fellow of the Chartered Institute of Arbitrators and from 2010 to 2013 was Chair of the Australia branch. John is a Fellow of the Australian Centre for International Commercial Arbitration (ACICA), and the independent member of the ACICA Appointment Committee. John is a qualified mediator (NMAS) and teaches, writes and speaks regularly on issues in alternative dispute resolution. In 2009, John was appointed a judicial member of the Administrative Decisions Tribunal of New South Wales. Since 2014, he has been a senior member (part-time) of the NSW Civil and Administrative Tribunal sitting in the Administrative and Equal Opportunity and Occupational Divisions and on the Appeal Panel. 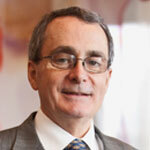 Michael Talbot is a senior consultant and non-executive director. As the former Deputy Secretary with the NSW Department of Justice he led major programs of reform to improve the administration of civil justice, its ease of access through on-line services, the transformation of its processes and the development of alternative dispute resolution services including the operation of Community Justice Centres. His experience with client service improvement include leadership roles as Group Manager Retail Operations for Australia Post where he led its major business reform. He currently consults to Australian and internationally operating organisations on client service design, business innovation and strategy. He is past Chair of the Law Courts Limited, the Australasian Court Administrators’ Group and a past member of the Council of Law Reporting for NSW. Professor Doug Jones AO is one of the leading arbitrators in the Asia-Pacific region. He is a Sydney-based partner in the Australian law firm of Clayton Utz where he heads the International Arbitration and Major Projects Groups of the firm. Doug is a door tenant at Atkin Chambers, London. His experience includes acting as Arbitrator and Counsel in major international Arbitrations, and advising on major projects in the areas of buildings, road and rail infrastructure, power, potable and waste water, mining infrastructure and processing, and on and offshore oil and gas. 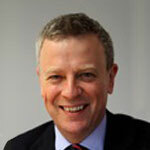 He has had extensive experience in PPP and PFI projects. Details of his arbitration experience can be found at www.dougjones.info. He is the immediate Past President of the Australian Centre for International Commercial Arbitration; he is a Fellow, Chartered Arbitrator and a Past President of the Chartered Institute of Arbitrators, London (2011), and a Member of the LCIA Court. He is an Australian Government nominee on the ICSID panel of arbitrators and a Foundation Fellow and Graded Arbitrator of the Institute of Arbitrators & Mediators Australia, Fellow of the Arbitrators & Mediators Institute of New Zealand Inc., President, Dispute Review Board Foundation Australia, member of the ICC Australia Arbitration Committee, Council Member, International Federation of Commercial Arbitration Institutions (IFCAI), and a member of a number of panels of International Arbitral bodies. 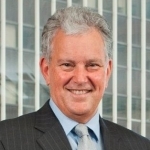 In June 2012 in the Queen’s Birthday Honours List, Doug was made an Officer of the Order of Australia, for distinguished service to the law as a leader in the areas of arbitration and alternative dispute resolution, to policy reform, and to national and international professional organisations. 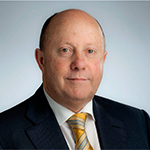 In January 1999 Doug was made a Member of the Order of Australia in recognition of his services to construction law and dispute resolution. His expertise in International Arbitration and Construction has regularly been recognised by his peers. Bronwyn is a partner at Herbert Smith Freehills, Melbourne. 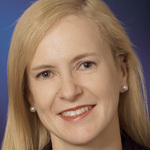 Bronwyn practises in international dispute resolution and has over 20 years’ experience in international commercial arbitration and major commercial litigation (focussing primarily on trans-national disputes). She also has experience in mediation and sits as an arbitrator. Bronwyn is a Fellow of the Australian Centre for International Commercial Arbitration, a Member of the Chartered Institute of Arbitrators, a member of the Law Council of Australia’s Federal Dispute Resolution Executive and International Law Section ADR Committee, a director and Vice-Chair of the Melbourne Commercial Arbitration and Mediation Centre and member of MCAMC Advisory Committee, a panel arbitrator for the Singapore International Arbitration Centre, a member of the board of ArbitralWomen and a councillor of the London Court of International Arbitration Asia Pacific Users Council. Bronwyn was a founder and the inaugural co-chair of the Australasian Forum for International Arbitration and served for over 10 years as a member of the Australian Federal Attorney General’s International Legal Services Advisory Council. Robin was appointed Head of Commercial & Risk, Construction & Infrastructure at Lend Lease Australia, in September 2013. Robin is responsible for the overview of the commercial and legal aspects of tenders and the commercial aspects of projects in delivery for the Construction & Infrastructure business in Australia, which includes Lend Lease Building, Lend Lease Engineering, and Lend Lease Services (formerly the Abigroup, Baulderstone and Project Management & Construction businesses). Prior to Lend Lease, Robin was employed by Thiess Pty Ltd from 2006 to 2012, where he held the position of Commercial Manager, Construction (formerly building and engineering operations across Australia). Thiess’s turnover was circa A$5 billion in construction across Australia. Before joining Thiess, Robin was employed by Baulderstone Hornibrook, where he held various project and executive commercial positions over a 28 year period. Robin has been involved in many iconic engineering and building projects including City Link, Cross City Tunnel, My Thuan Bridge (Vietnam), Royal Women’s Hospital, Victoria Prisons and Casseldon Place.